There’s a strong argument that Jack Ryan is the closest thing America has to James Bond. A character possessing a fantastical mixture of talents, skill, and charisma. 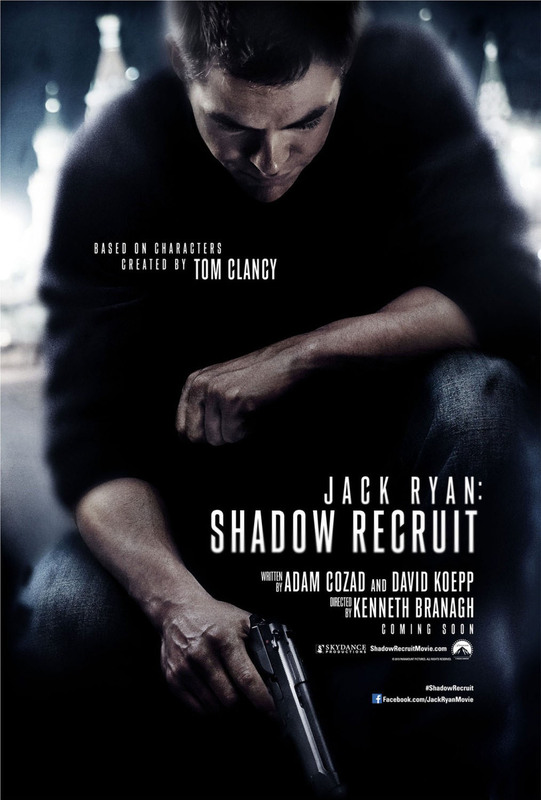 Jack Ryan: Shadow Recruit is the fifth cinematic turn for the Tom Clancy character, although this installment is a reboot and also not based on any of Clancy’s novels. This is very much an origin story, showing how Jack Ryan (Chris Pine) enrolled in the Marines after 9/11, was injured in a helicopter crash, and is recruited into the CIA by William Harper (Kevin Costner) as part of his recovery process. As an analyst, Ryan works on Wall Street under the guise of a firm’s compliance officer, using his position to investigate possible security threats. Meanwhile, Ryan attempts to balance his secret spy life with his personal life, namely his fiancée Cathy Muller (Kiera Knightley). 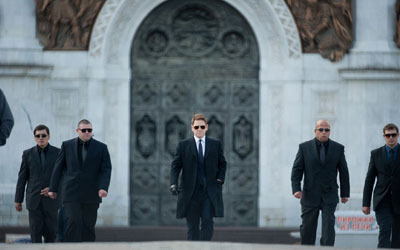 After finding mysterious accounts, Ryan heads to Moscow where he crosses paths with Viktor Cherevin (Kenneth Branagh). There’s a lot of room for various tones within the spy film genre, and Jack Ryan: Shadow Recruit sits nicely as a more grounded take than the Bond, Borne, or Mission: Impossible franchises. While there are two solid action pieces, most of the film centers on tradecraft and murky geopolitics. That isn’t to say that the film is realistic, as there are high stakes, but the scale of the film is small in a very satisfying way. Bolstering the film’s appeal for me was the rock solid cast. Chris Pine uses his Captain Kirk charm with the arrogance dialed down, a winning combination for the Ryan character. Costner brings some gravitas, and while the film doesn’t wink to it, the role is a nice turn on his JFK performance. Knightley rounds out Dr. Muller the best she can, and the chemistry with Pine is good enough, though she really shines when sharing the screen with Branagh’s Cherevin. Branagh himself clearly relishes playing the villian here, and imbues Cherevin with just enough personality to be empathetic. This is a true reboot, so no prior knowledge of the character is needed. The film definitely takes its cues from Casino Royale, mixing a potboiler style plot in with larger The Economist-style concerns in a satisfying way, and should please both fans of the character and newcomers. This is a franchise that needed a fresh start, and as a first installment, Shadow Recruit does a fine job laying the groundwork for a franchise, and I am already hoping for a second installment (maybe featuring John Clark and/or Rainbow Six? Please!). Jack Ryan: Shadow Recruit opens today in Philly area theaters.